As you pull out your empty boxes, do take a minute to pull out anything left in those boxes to donate. If you didn’t use it this year, you are even less likely to use it in the years to come. This can be you’re first step towards a simplified and organized 2011! Take your time as you take down, pack up and store your holiday decorations. The few extra minutes you take now will pay off for the years to come. Use clear plastic containers and be sure to clearly label each container. 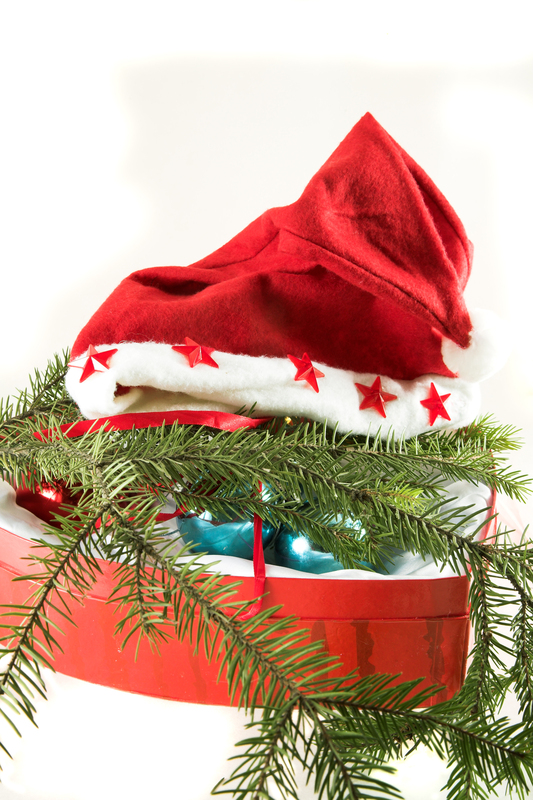 Take a few minutes to think through HOW you prepare for Christmas, and pack up accordingly. Put away those things that you tend to use last, first. And pack away those things that you tend to use first, last, so that they will be easily accessible next year. Many people put up their outside decorations first, may decorate the inside of their homes next, send out Christmas cards and start listening to their Christmas music, and finally put up and decorate the tree. If this were the case, you would want to pack away your tree trimmings first, and place them in the back of the storage area or shelving unit. Next you would want to pack up your cards, Christmas music and wrap. Then pack away your indoor decorations and finally your outdoor decorations. The stores are enticing you to come on in and purchase, purchase, purchase. For the past several months they have been trying to get you to purchase Christmas stuff, now with the New Year approaching, the stores are moving on to organizational aids. Of course being an organizing professional, I have a certain affinity for this time of year and for all those cool organizational tools that are for sale. But the fact remains, if you don’t need it, it becomes clutter. Think through WHAT you need BEFORE venturing out to purchase. Finally, take a few minutes to ponder. Think back over your holidays. Did your holiday season come close your mission? Did you begin any new traditions that you would like to continue? Were you able to develop any new habits, either personally or within your family, that you would like to continue? What was your greatest frustration this holiday season, and how could you minimize it in years to come? What changes did you make this year that enabled you to enjoy a simpler and more fulfilling holiday season? Check out Part 1, Happy Shopping, Part 2, Take Time to Make Time, Part 3, Budget and Gift Giving Guide, Part 4, Cleaning, Part 5, Decorating, Part 6, Meal Planning, Part 7, It’s a Wrap, and Part 8, Merry Christmas, of my Get in Order for the Holidays Series. Here is to an organized and blessed 2011! Why don’t I ever think of this stuff? Love the idea of storing in order of next year’s use! My post-holiday fatigued and foggy brain could never come up with such intelligent ideas!! This is when I wish I could be like Barbara Eden on I DREAM OF JEANNIE and just bonk my head and Waaaalaaaa! Everything is clean and ready for Valentine’s Day!!! Thanks for making it easier! I will definitely be donating what was not used this year!!! 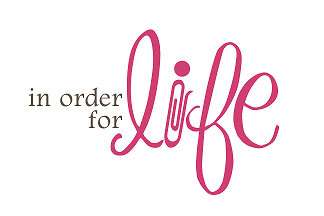 Visit In Order for Life's Facebook Fan Page! Click here for my collection of favorites links for organizing products and other useful sites. Click here for useful tips and information to assist you in being environmentally friendly!